The Immigration Answer Man, Ari Sauer, is an immigration law attorney with the Siskind Susser law firm, with offices in Memphis, TN; Nashville, TN; and Atlanta, GA. The Immigration Answer Man answers U.S. immigration law questions submitted by readers. To submit a question, email immigrationanswerman@gmail.com. Due to the volume of questions, not all questions will be answered. Many questions will require a full consultation in order to answer. You can schedule a consultation appointment by calling 901-507-4270 or by clicking here to request a consultation appointment with attorney Ari Sauer. 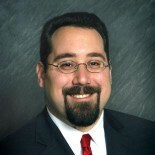 A full biography for attorney Ari Sauer is available at www.visalaw.com/ari. If a green card holder living outside the US no longer wishes to pursue getting his/her American citizenship – can he/she let go of the green card (what is the mechanism to do so?) and apply for a simple travel visa without being adversly affected? Here is a previous post of mine about giving up (or abandoning) your green card. https://immigrationanswerman.com/2012/07/06/if-i-abandon-my-green-card-can-i-get-a-green-card-in-the-future/ . Someone who abandons their permanent residence can later apply for a visitor visa. As with all applicants for a visitor visa to the US, they need to show that their ties to their home country are stronger than their ties to the US, and that they are unlikely to remain in the US. This can sometimes be tougher for foreign nationals who have been living in the US as permanent residents. So giving up permanent residence does not guarantee that the person will be able to obtain a visitor visa soon afterwards, but it is an option. I don’t know why USCIS is delaying adjudication of your application for naturalization. You could try making an inquiry in person by making an Infopass appointment at your local USCIS office: https://infopass.uscis.gov/. You could also hire an immigration attorney to make the inquiry, as sometimes (but not always) an experienced immigration attorney is able to get more information from USCIS at an Infopass appointment than USCIS will tell the individual client. A third option is to make an inquiry through your Congressman or Senator’s office. Although none of these methods are guaranteed to get you a good answer, sometimes just inquiring can help to get a case “unstuck”. I got my green card stolen and submitted I-90 to replace my green card in February. I had already my fingerprints taken and got a temporary I-551 stamp on my passport though Infopass, It’s been about four months since I filed. Now I have to move to go to school and get a new job. My question is, 1) how longer do you think it’s gonna take? (I think they said it could take up to 10 months) 2) do you know what I should do to change my address for my green card(other than change the address online)? 3) do you think the stamp can be like my green card that I can show to the school/ work? When moving, you should submit a Form AR-11 Change of Address form to USCIS. The form is available online and can be completed online at https://egov.uscis.gov/coa/displayCOAForm.do. The I-90 takes some time (10 months is about right at this point). During that time you can use the I=551 stamp in youtr passport as proof of your status to work, travel, et., the same way you would use the green card. You can obtain new I-551 stamps as needed if your stamp is within 30 days of expiring and you have not had your I-90 adjudicated yet. I have applied for I-485 and it will be current next month. I have provided my finger print and medicals when i initially applied the application, which is 3 or 4 years back. What would be the time line to get the GC in hand and what more information i may have to precent to the USCIS? The fingerprint clearance is only valid for 18 month. If it has been more than 18 months, since USCIS has obtained your fingerprint clearance, they should have you redo them. Also, if it has been more than a year since your Medical Report was signed, then they should ask you for a new one as well. There are a lot of applicants that are in your situation right now, so it is not possible for me to tell you how long it will take USCIS to get to your application. If someone has USCIS put an I-551 stamp in their passport based upon their pending I-90 application, they can use that I-551 stamp to travel while the stamp is valid and until they receive their new card. But I would recommend completing the fingerprints for the I-90 before travelling where that is an option, as rescheduling the fingerprints appointment will mean a delay in USCIS adjudicating the I-90 application. Depending on how helpful the local Application Support Center and USCIS office is, the person might be able to have their biometrics taken as a walk-in, but each USCIS office has different policies about taking walk-ins for biometrics appointments. You can call me at 901-507-4270, and speak with my paralegal, Jessica, to schedule a consultation appointment if you would like to discuss this further. I got married to a US citizen back home in Africa,then after two year of our marriage I got to reunite with her in the US. But in less than two months of my stay here she got abusive and threatened me that she will divorce me if I did not do what ever she wanted,she locked me up in the house,insulted me and made me feel tortured, later filed for an annulment of our marriage based on facts well known to her. I have my two year green card with conditions. I am afraid that after two years I might not be able to renew my green card. And I know the marriage was in good faith. A conditional resident does not have to stay with an abusive spouse. Conditional residents are allowed to divorce their US citizen spouses. If the conditional resident divorces their spouse before they receive the unconditional 10-year green card, they submit an application for Waiver of Removal of Condition from Permanent Residence once the divorce is finalized. They must show that they marriage was entered into in good faith. This is shown by documentation that the couple lived together and shared assets and liabilities and evidence that the couple publicly held themselves out as husband and wife. Even if the divorce has not been finalized, the conditional resident can apply for a waiver of the conditional residence by showing that they entered into the marriage in good faith, but they we abused by their spouse. An experienced immigration attorney can assist someone in gathering as much documentation as they can of the fact that they were in a good faith marriage and the fact that they were in an abusive relationship. It is hard to tell from the facts presented. It sounds like the officer may have been part of the scam to bring you into the US. Or maybe not. I would need to review your I94 and any other documents and likely order a copy of your immigration files before I could answer about what options may be available to you. Call 901-597-4270 to schedule a consultation appointment with me to discuss your options. You need to hire an attorney to respond to that Request for Evidence for you. I couldn’t tell you what you need to provide to respond to that question without a full consultation including review of all documentation previously provided to the government. If you would like to schedule a consultation appointment with me, you can do so by calling 901-682-6455. I am available to do consultation appointments by phone or at my officer. Standard consultation fees apply.